Serving North Austin with 10 and 20 yard roll off dumpsters. Is trash junking up your property? Do you need a fast, affordable way to get rid of a junk pile? RUBBISH INC™ has the solution! We offer reliable junk removal and dumper rental services in North Austin. No matter how large or small your clean up is we can help you get everything loaded up and hauled away so you don’t have to worry about the junk ever again. Located in the heart of North Shoal Creek, we are proud to serve all North Austin neighborhoods. Let Our North Austin Junk Removal Crew Do the Work For You! For as little as $189 all that junk that’s been taking up space and creating health hazards can be gone for good. Our super-sized 20 cubic yard trailer can handle any junk removal in North Austin. You call or email us to give us a few details about what you need. 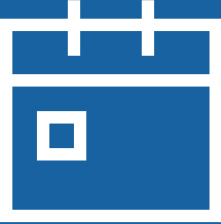 We provide a transparent, flat rate price with no hidden fees. Let us know when you need junk removal in North Austin and we’ll schedule the service. We can be there within 24 hours. At least two members of our junk removal crew will show up with the trailer to load up and haul away your trash. The items being removed should be in a central location whenever possible so we know what’s being junked. Within hours our crew will get your junk loaded on the trailer and off your property. We’ve made the process as simple and straightforward as possible so your junk doesn’t keep causing problems. Don’t forget to ask about our clean up service! If you have a big project that will generate junk as you go, or you want to handle the load up yourself that’s not a problem. Our North Austin dumpster rental service is a great option. 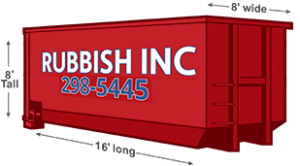 Give us a call to discuss your project and one of our knowledgeable reps can help you decide on the most economical dumpster that will meet your needs. Next, let us know when and where you need the dumpster. We can get it there in as little as 24 hours – sometimes sooner! Our dumpster pro will deliver a roll-off dumpster rental that can be placed on your property – and you don’t even have to be there. We use a hook and lift system that allows us to place the dumpster precisely without dragging it. There’s no need to worry about your driveway or yard being damaged. Once your dumpster is full or the job is done give us a call, and we’ll come pick it up. Our flat rate pricing makes North Austin dumpster rental costs completely transparent. We promise you won’t get surprised by hidden fees. Ready to be free of the junk? Call today to schedule junk removal service or a dumper rental in North Austin! Call us today to schedule a junk removal crew or fast delivery of a rental dumpster in North Austin. What can't be put in your dumpsters? Just about anything can be put in our dumpsters, however there are a few exceptions. North Austin junk removal doesn’t usually include hazardous materials, but anything that falls into that category is off-limits. We also can’t accept concrete, gravel and soil because they are extremely heavy and would overload the roll-off dumpster. If you need concrete, gravel and/or soil to be removed give us a call to learn more about our available options. How much trash fits in a dumpster rental? Or your North Austin junk removal trailer? We have two dumpster rental sizes in North Austin: 10 yard dumpsters and 20 yard dumpsters. The 10 yard dumpster can hold up to 2 tons of trash. That’s approximately 3 pickup truck loads of garbage. The 20 yard dumpster will hold 4 tons of debris, which is roughly the same as 6 pickup truck loads. There are four options for our junk removal service in North Austin. You can do ¼ trailer, ½ trailer, ¾ trailer and full trailer loads. A full trailer can hold 2 tons of debris. How quickly can junk removal and dumpster rental services be scheduled? At RUBBISH INC™ we’re known for our super fast customer service. Junk removal services or a dumpster rental in North Austin can be scheduled and delivered within 24-48 hours. Dumpsters can be dropped off at your location any time of day. We are also not delivering our roll off dumpsters in Georgetown!